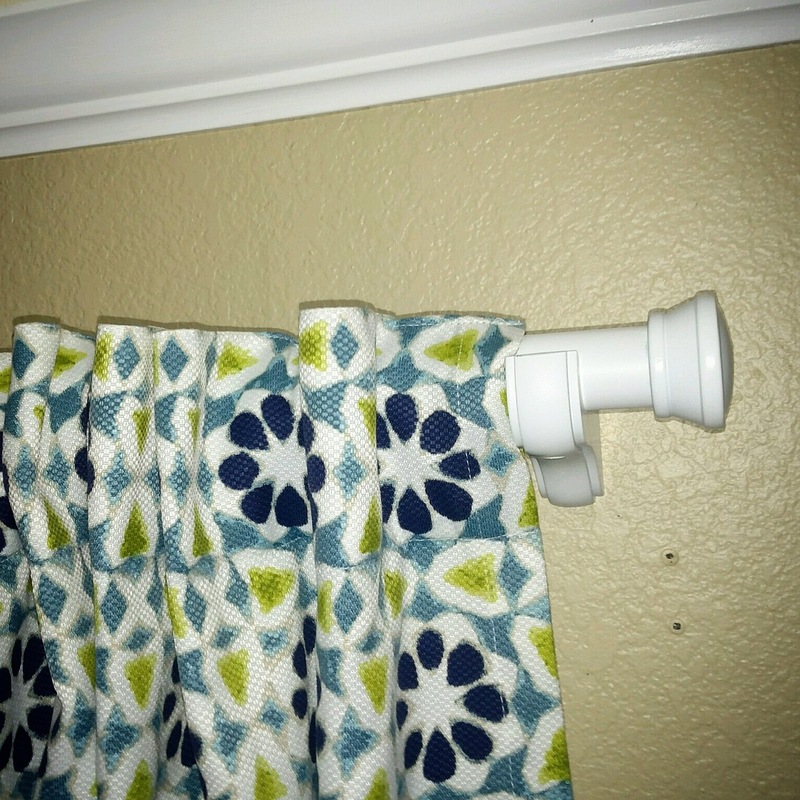 DIY Curtain Rods for Just Pennies a Foot! I know I’m not the only one who dies a little inside every time I have to pay nearly $100 for rods, brackets and finials when all I want to do is hang a simple set of curtains! And there is no way I’m buying those cheap, expandable, skinny, metal rods either! This little life hack will make you just as happy as it will make your checkbook! 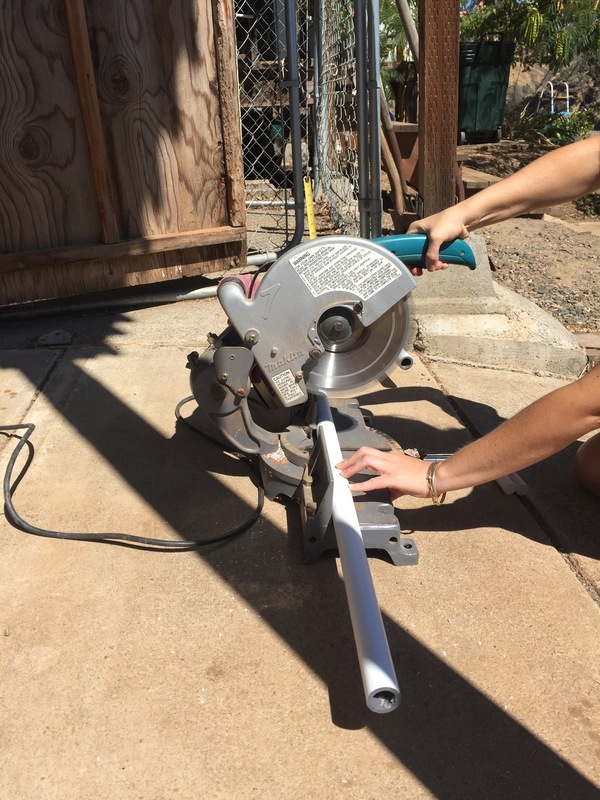 For this project, you will need a piece of 1 inch PVC pipe (if you plan to use a center bracket), or a piece of 1 inch metal conduit if you do not. 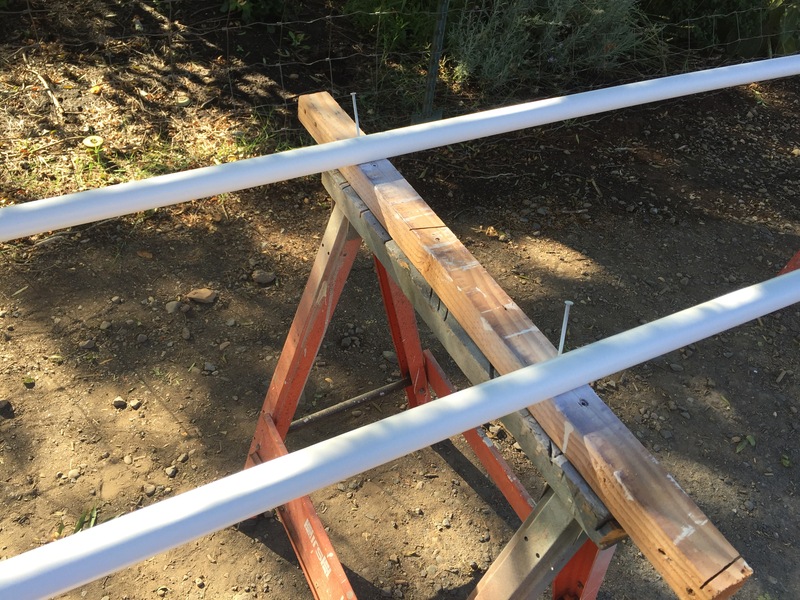 PVC pipe will sag if the center is not supported. 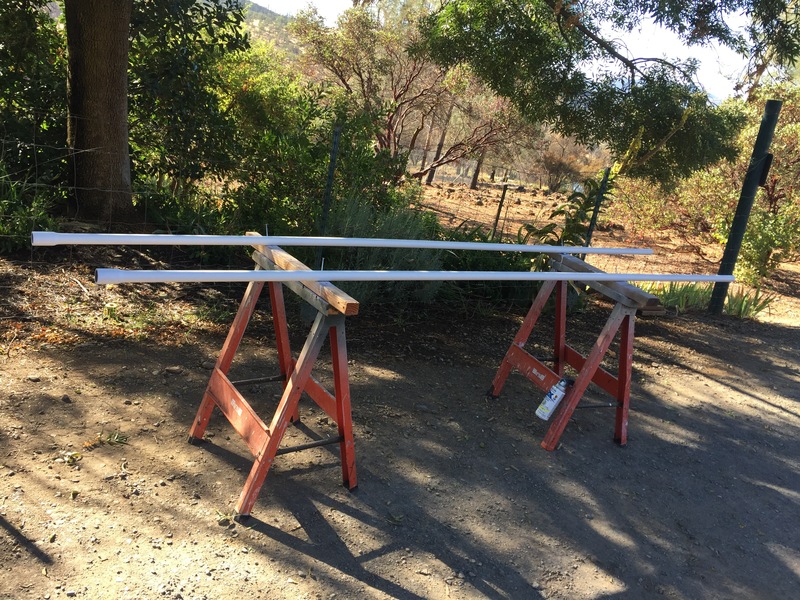 We made rods for two 8 foot windows, which required center brackets, so we decided to go with PVC (the cheapest option). 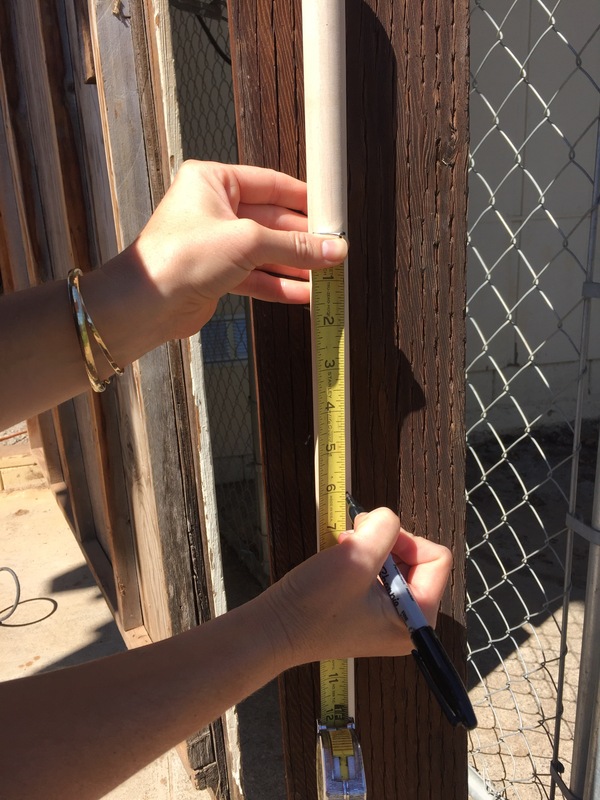 Make sure you buy a long enough piece of pipe to span the entire window with a little left on each side. I like to leave at least 4 to 6 inches. 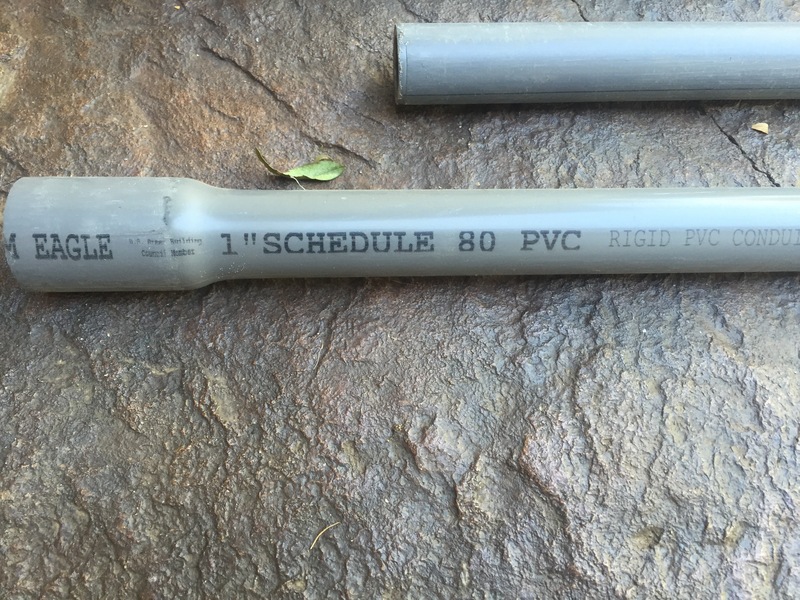 If you use PVC, be sure to get schedule 80 instead if schedule 40 because it is stronger and won’t sag as much. You will also need to buy a set of 1 inch brackets and a set of 1 inch finials. You can find them at Lowes or Home Depot, or just about any other hardware or home decor store. 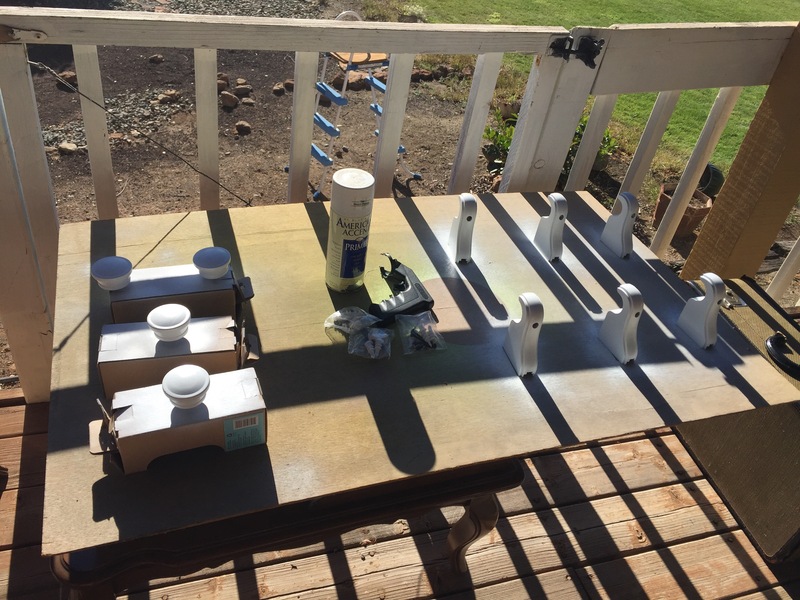 Make sure all your pieces (pipes, brackets, and finials) are clean and dry, prep your area, then spray paint all your pieces to match each other. Let them all completely dry before you rotate or touch them in any way! The hardest part about painting is being patient! 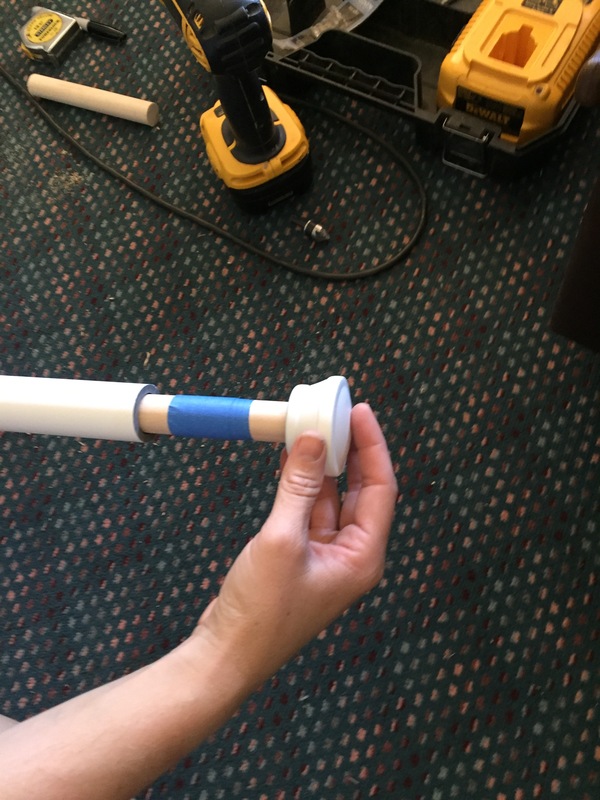 While you are waiting for everything to dry, you can create the end plugs for your rods. To do this, you will need a wooden dowel, a drill, and some painter’s tape (the blue stuff). 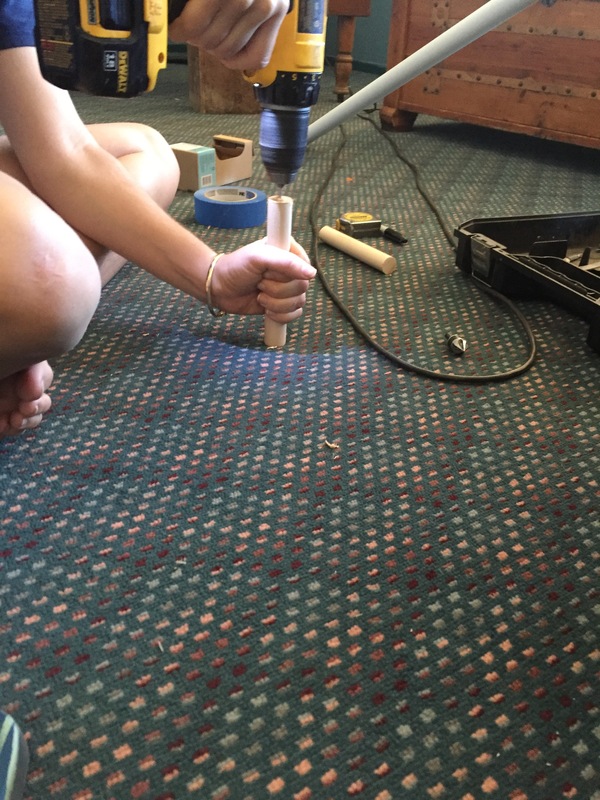 Choose a wooden dowel that is slightly smaller than the opening of your pipe. 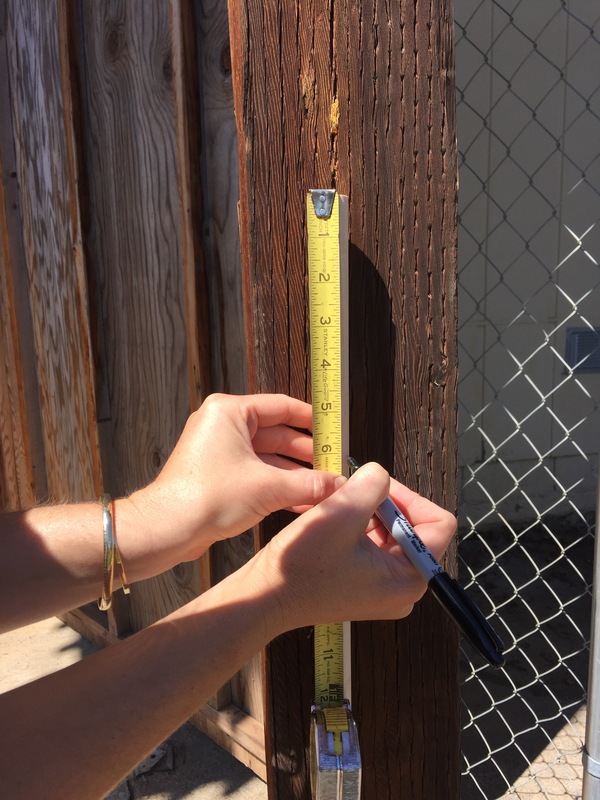 Measure, mark, then cut your dowel into 6 inch sections. 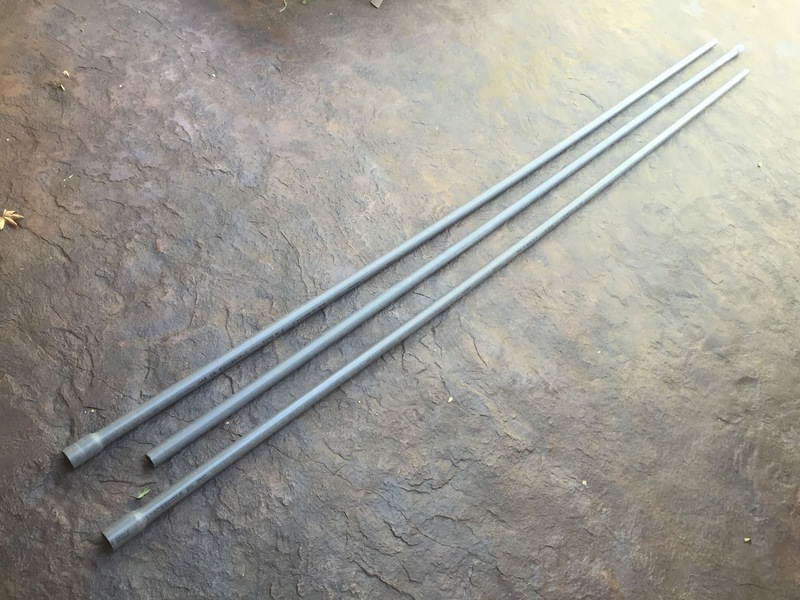 You will need two sections for each rod (one for each end). 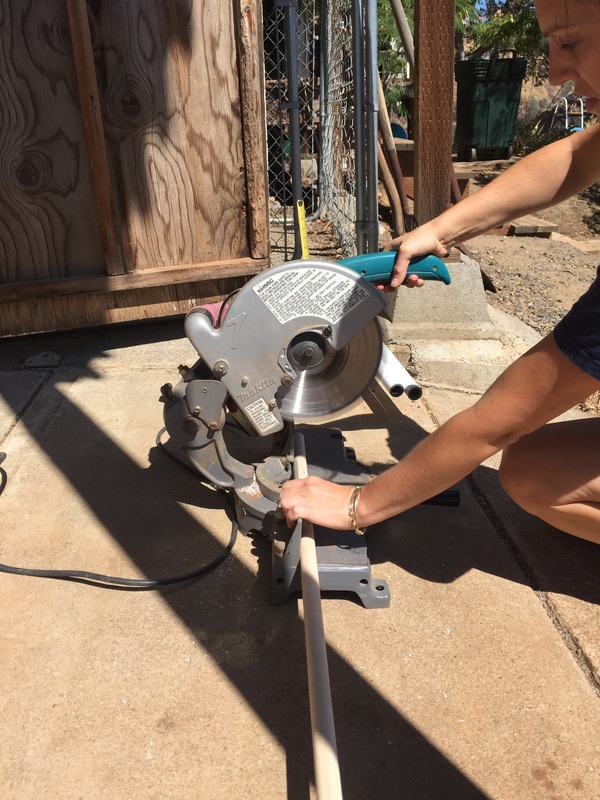 I used a mitre saw to cut mine. 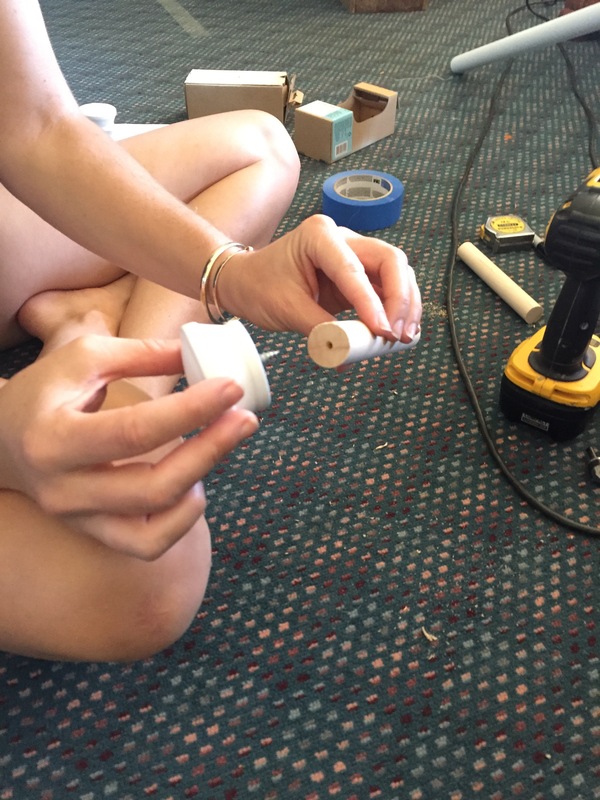 Once you have your dowels cut into 6 inch pieces, drill a straight hole right in the center of one end of each dowel. 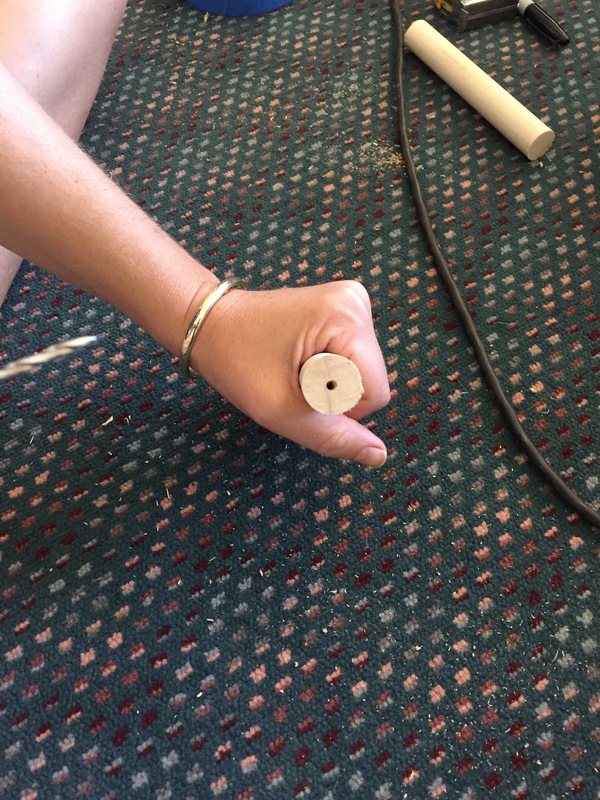 Once you have your hole drilled, only if your paint is all the way dry, you can screw the finial into the hole. 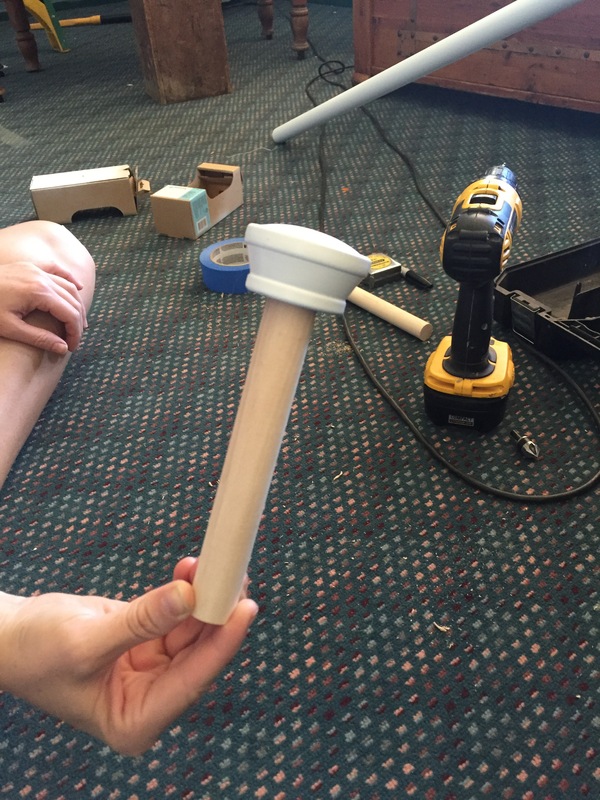 After that, wrap your dowel with some painters tape so that it will fit snugly into your rod. This may take a little trial and error. I usually put on too much tape, then have to remove some. Just work at it until you get it right. You want it to be nice and snug.